After all the trips I made over the past two weeks during the Mega sale, I’m a bit relieved that this with there are not a lot of “hot” deals. Buy 4 participating P&G (Procter & Gamble) products, get an instant $4 off: this promotion is valid through 8/8/09. The terms are a bit confusing to me because it says “$4 savings is on the non P&G products in your purchase” yet the ad lists items with prices after the $4 off…a bit misleading for sure! I haven’t tried this yet, so I don’t know how it’s going to play out. There are lots of new loadable coupons on the P&G eSaver site (at this point, you can use the eSaver and paper manufacturer’s coupons together). Click here to load them to your card. There should be a new P&G insert in this Sunday’s newspaper. These are priced at $1.79/each. There is a $1.50/2 printable coupon here (you can print 2 per computer). Spend $4.16, get a $3 OYNO catalina! 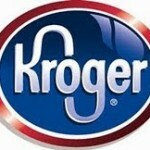 Kroger Deal of the Day promotion: free products daily! I went to Kroger this morning and some of the Herbal Essence stylers are included. I didn't check the Pantent ones, but I think only their big shampoo and conditioners were included. I used my buy 1 shampoo and get a styler free for the Herbal Essences though and it worked great! AWESOME! Now I'm going to have to go and adjust my scenario!